What To Expect From Freeport-McMoRan’s Q4 Results? What To Expect From Freeport-McMoRan’s Q3 Results? 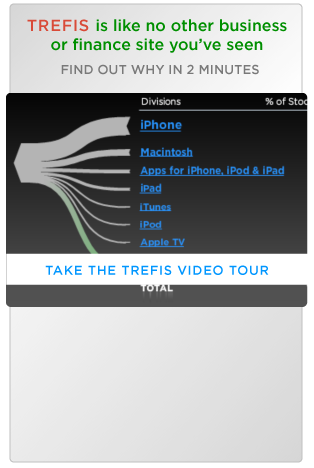 What Are Major Revenue Streams For Freeport-McMoRan Inc.? How Is Freeport Likely To Be Impacted If Copper Prices Continue To Decline? What Factors Have Led To Freeport’s Recent Stock Slump? What To Expect From Freeport-McMoRan’s Q1 2018 Results? How Important Is Grasberg To Freeport? 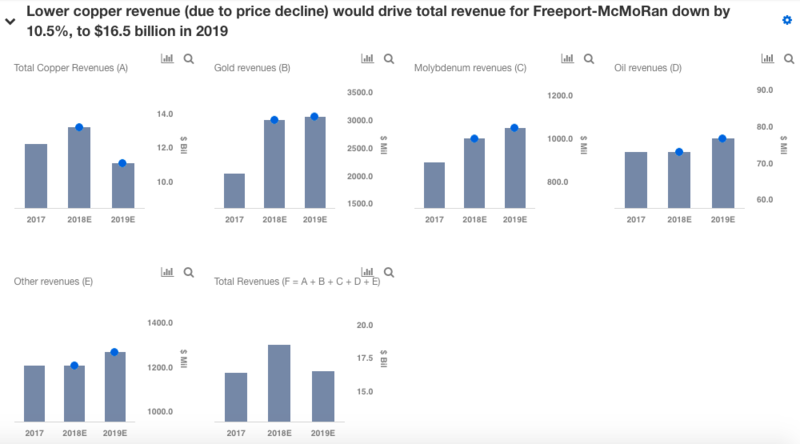 How Will Freeport-McMoRan’s EPS Be Impacted If Copper Prices Decline By 20% In 2019? Freeport-McMoRan Inc. (NYSE:FCX), one of the world’s premier copper, gold, and molybdenum mining companies, saw its stock lose about 40% of its value in 2018, with its current market price at $11.19. This decline was mainly driven by lower copper prices during the year – the price was down 18% in the last one year from $3.30/pound in Dec. 2017 to $2.70/pound in Dec. 2018 – owing to the US-China tariff war, slowing economic growth in China, and regulatory uncertainty in Indonesia. Copper prices have a very large impact on the stock’s performance, as about 71% of revenue (2018E revenue) is contributed by the company’s copper mining operations and allied activities related to copper. Though we believe that copper prices will remain stable this year with a slightly upward bias due to rising EV sales, it would be interesting to see the impact on FCX’s EPS if copper price were to decline in 2019. As China consumes nearly 48% of the world’s copper, a sudden and more severe than expected slowdown in the Chinese economy would send the copper prices tumbling. Our scenario analysis shows that a 20% decline in copper price this year would lead to a $0.30 drop in FCX’s earnings per share. The chart below shows that a lower net income of $1,653 million (due to lower copper revenues) and 1,449 million common shares outstanding, would help the company achieve an EPS of $1.10 in 2019. View our interactive dashboard – Impact of 20% decline in copper prices on Freeport-McMoRan’s EPS in 2019? – and modify the key drivers to arrive at your own Net Income and EPS estimate for the company. The realized price of copper for FCX has been stable at $2.93 per pound in 2017 and 2018E. In 2019, with a 20% decline, the price would go down to $2.34. FY2018 is most likely to see volumes grow by ~8.1%. In 2019, in spite of a significant decline in prices, we would expect volumes to grow, albeit at a slower pace. We have forecast a 5% volume growth in 2019, benefiting from rising EV sales, slightly offset by equity reduction to 48% from 90% at the Grasberg mine. Thus, volume of 4725 million pounds priced at $2.34 per pound would generate revenues of $11,075 million in 2019, which is 16% lower than 2018E revenues from the segment. Lower copper revenues would have an adverse impact on the total revenues of FCX which would decline to $16.5 billion in 2019 from $18.5 billion a year ago. Net income margin is expected to remain stable at 11% in 2018, similar to levels of 2017 and YTD Sept 30, 2018. A fall in copper price would pull the NI margin lower as the margin realized per pound sold would drop. However, in such a scenario, we expect the company to resort to discretionary cost-reduction to avoid a sharp decline in margins. Based on these factors, net income margin would likely drop to 10% in 2019. Revenues of $16.5 billion and a 10% NI margin would lead to net profit of $1,653 million in 2019, a reduction of 18.6% over the previous year. Our analysis above of FCX’s performance in a scenario of a 20% reduction in copper prices next year would therefore lead to a drop of $0.30 in the EPS of the company, on the back of lower net income at $1,653 million and 1,449 million of common shares outstanding. Though the possibility of such a sharp price drop appears remote, a further Chinese economic slowdown and other curtailment/restrictions imposed in China could lead the above situation to materialize.